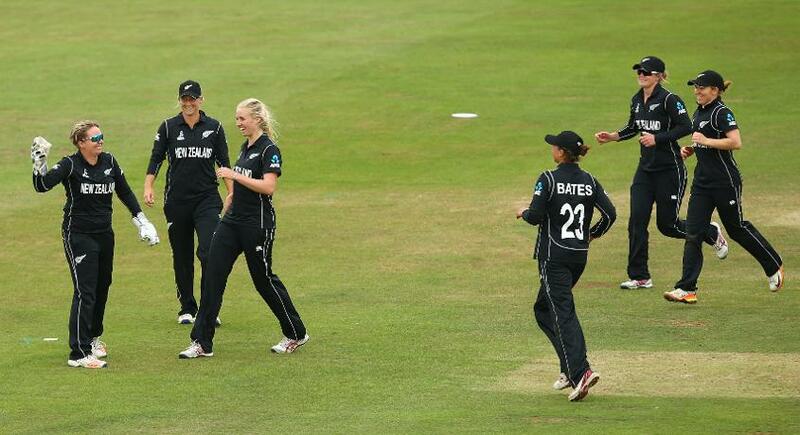 New Zealand all-rounder Sophie Devine was quick to praise India despite receiving another Player of the Match award for her performance in the T20I series, this one securing a 3-0 series sweep for the White Ferns. 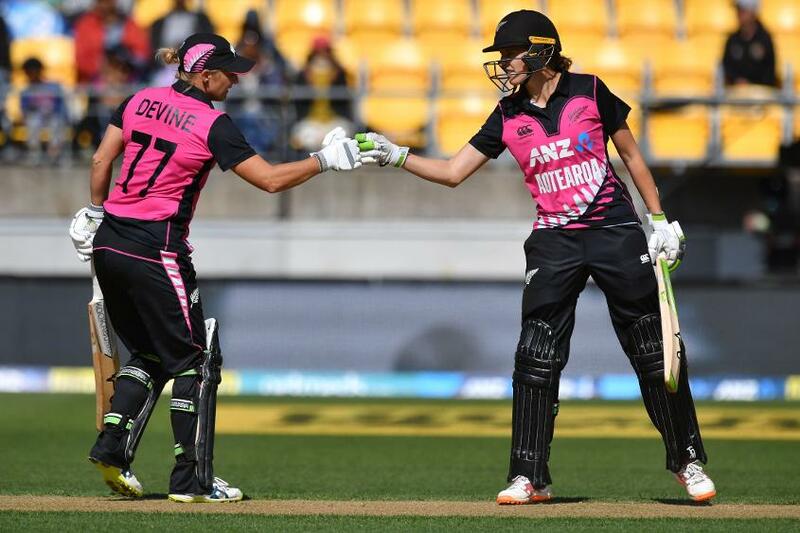 Devine smashed 72 to help New Zealand to 161/7, before taking 2/21 as her side snuck home by two runs, Leigh Kasperek holding her nerve to deny Mithali Raj and Deepti Sharma the required 16 from the final over. The imperious Smriti Mandhana (86) had once again contributed her customary dominant knock, but Amy Satterthwaite's' team squeezed their opponents following the 22-year old's dismissal, marking another impressive victory. Devine lauded India's efforts in a highly entertaining series, reiterating the strength of her opponents. "It's another memory in the bank to have success against that India side, who have some fantastic players," she said. "They’re gonna be a real threat for the next five-ten years. They went right to the wire there and credit to them for taking us to it. "It was another great contest, we’ve seen the games ebb and flow so much this past series so to come out on top again is really a credit to the girls." She praised India's efforts with the ball, remarking on the difficulty she and Satterthwaite met in trying to kick on at the crease. "I think it was a really tricky wicket actually, me and Amy came off afterwards and said we never really felt like we were ‘in’ on that wicket, and again, the Indian bowlers put us under pressure. "Their change-ups were really successful today and it was a matter of trying to hit it as straight as possible. To come out on top is a massive confidence-booster for us, especially going into the big one-day series against Australia." New Zealand must now prepare for three hotly anticipated ODIs against MRF Tyres No.1 ranked Australia, and Devine expressed just how important this tight series against India has been in preparing her side for the contests. "It’s massive, it’s one of those things that you can’t really train or coach, so for us to have three games that have gone down to the wire and for us to come out on top is fantastic, and they’re going to be really big learning experiences right throughout," she said. SQUAD ANNOUNCEMENT: Wicket-keeper batter Katey Martin returns to @WHITE_FERNS ODI side for series against Australia. "Even for me as a senior player, I still need to learn from that and what we can do differently. That’s something we’ve really focused on – reflecting on each game on what we can do slightly better. We’ve seen a lot of players step up throughout this relies which is really important. We know we’ve got a big task against the Aussies, they’re a quality side throughout so we know we are going to have to be on the ball to put on a good contest against them too. "The wickets are pretty similar (in New Zealand) to Australia, not quite as fast and bouncy as the Aussie wickets, but it certainly gives you a lot of confidence moving forward." Devine also outlined her team's ambitions for the 2020 ICC World T20 in Australia, which kicks off in February 2020, and the 2021 Women's Cricket World Cup which will be staged on home soil, in New Zealand. The White Fern's unfavourable records in major tournaments is something Devine is desperate to rectify, and she believes that playing against some big crowds in this series will serve her side well. "If you ask anyone, we’ve been disappointed with some of our results, especially at World Cups, and we’ll be the first to admit that as a playing group, we’re really disappointed with the way that we exited both the T20 and the 50-over World Cup in 2017," she said. "We are certainly wanting to put that right, but we know that we need to look forward and focus, we’ve a big (T20) World Cup next year in Australia and then the home World Cup in New Zealand is something we are really looking forward to. "I think the opportunity to play in front of some of the biggest crowds I’ve played in, and I’ve played all around the world for a long time, is experience that we need to put in the bank. If we’re playing in a final at the MSG with 85000 people we need to learn how to cope with it." New Zealand's ODI series against Australia starts on 22 February, while India host England for three ODIs commencing on the same date.